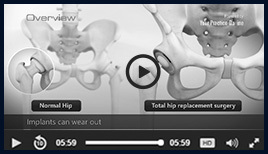 I am an orthopedic surgeon specializing in hip and knee replacement. I began my journey in the research lab of a high-volume hip and knee replacement institution in Philadelphia, PA. There, I developed a special interest in the field of adult reconstruction and the research tools aiming at measuring the success of these procedures. I have written several book chapters covering different aspects of hip and knee replacement surgery and published more than a dozen peer-reviewed articles presented at scientific meetings. Fueled by the desire to become an orthopedic surgeon in the face of strong challenges, I completed my residency training at the University of Nebraska where I was very fortunate to train under a group of very highly skilled surgeons. From there, I went on to enhance my skills and experience by working with the experts in the field of adult reconstruction at Rush University Hospital in Chicago, IL. I continue to maintain a practice that is focused on total and partial hip and knee replacement as well as revision hip and knee reconstruction surgery. I am committed to providing compassionate and excellent care to my patients based on sound medical knowledge, good clinical judgement and experience. I am a critical thinker who believes that the key to good patient outcomes and great satisfaction is effective communication and mutual trust between the patient and the physician. My ultimate goal from every encounter is shared decision making and a treatment plan that incorporates the patient's needs, preferences and beliefs.